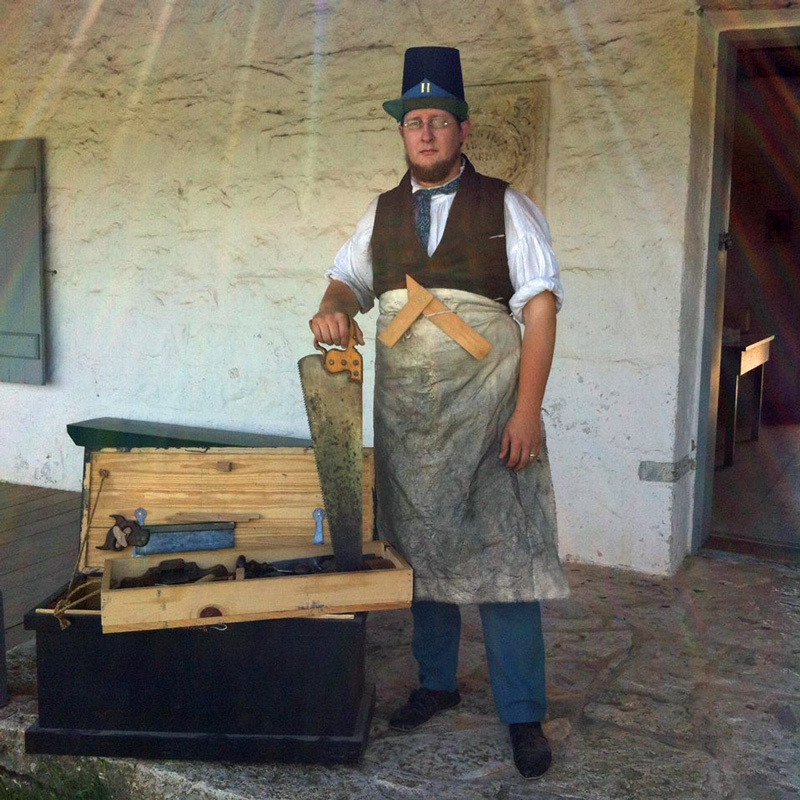 Fort McKavett State Historic Site is currently presenting monthly programs that cover all aspects of the fort’s history. 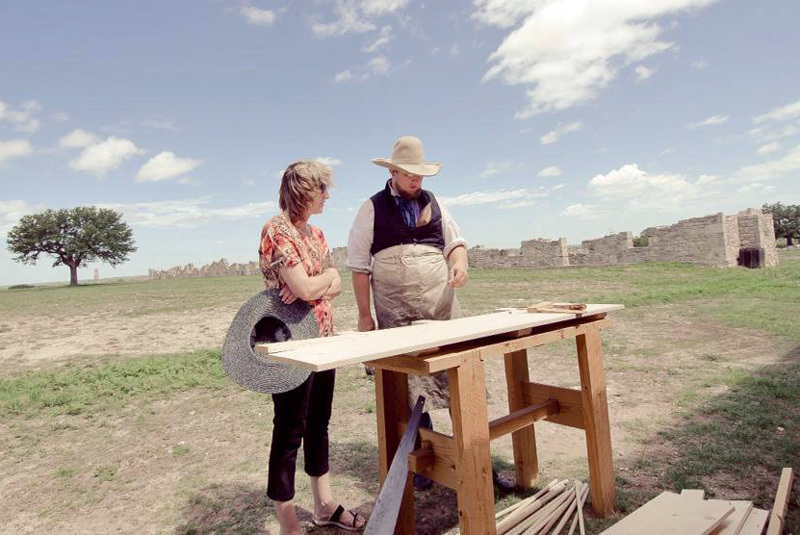 The most recent program, “Hard Work and Hand Tools: The Construction of Fort McKavett,” focused on the methods that soldiers used when constructing elements of the buildings in 1852. 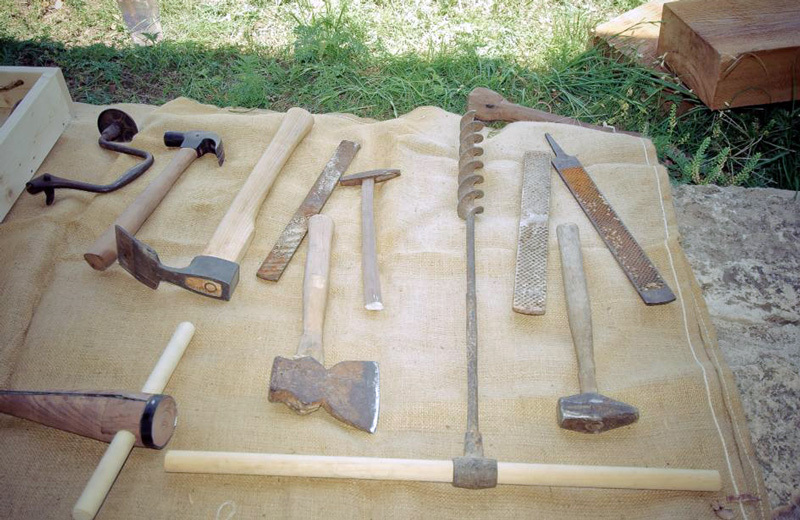 Many visitors came out to participate in the program and several participated in the construction by measuring, marking lines, making spittoons, and more. 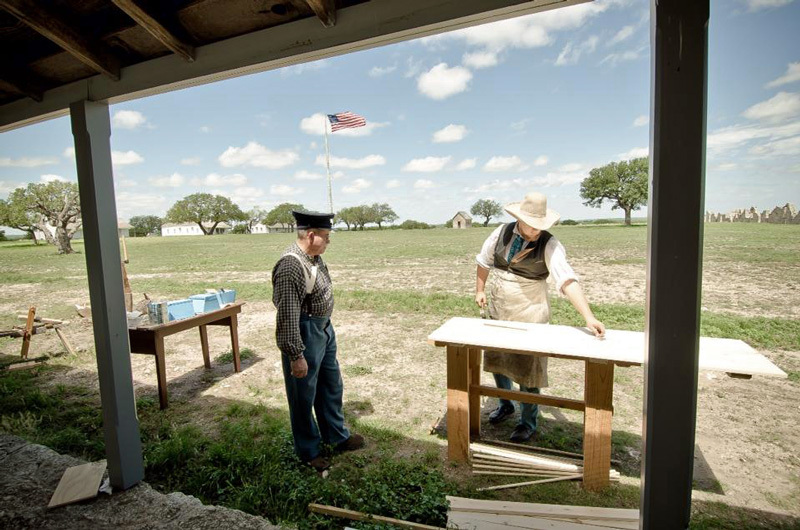 Two interpreters demonstrated the methods used to rive (split) the wood with a froe (rough carpentry), and then use the riven wood to construct barracks furniture (finish carpentry). One visitor even helped us make a sawbuck patterned table! 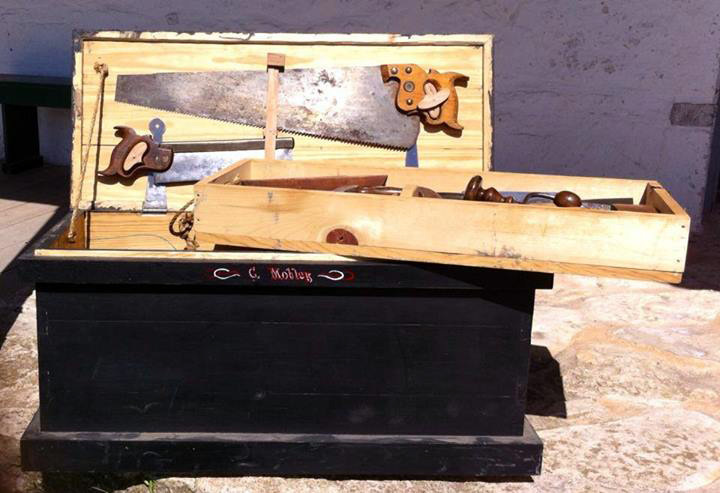 The furniture was constructed using the original methods based on surviving originals at other contemporary military forts, including Fort Snelling, Fort Gibson, Fort Steilacoom, and Fort Mifflin. Volunteers from Houston also drove in to sew the mattress ticks and start stuffing them for our 1850s double bunks/cribs in the barracks, which were used during the “Old Stories, New Voices” summer camp in late June. If you haven’t visited the site recently, we hope you plan to come out and see our changes! Our upcoming interactive interpretive programs can be found on the Events & Programs page of our website and also on our Facebook page. Interpreter discusses building methods with a visitor.